Do Brazil Nuts Boost Testosterone? Diet is a massively important part of health and performance. And these days you are spoiled for choice when it comes to foods that support your athletic and testosterone-boosting needs. One food that regularly gets a mention when it comes to male health is the Brazil nut. Does this nutrient-filled snack have the ability to enhance your androgen levels? And if so how many optimizes the increase? In this article we find out. 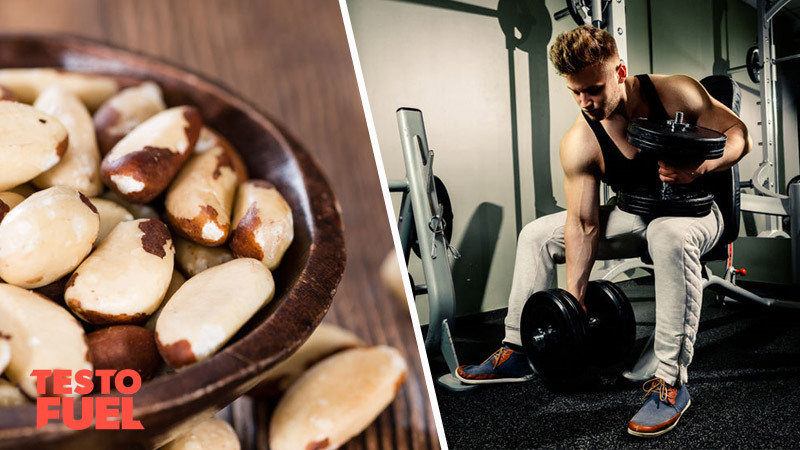 Do Brazil nuts increase your testosterone levels? The Brazil nut tree is a South American seed native to Peru, Columbia, Venezuela and of course Brazil. The Bertholletia excelsa as it’s known in the science world provides these large seeds – otherwise known as Brazil nuts – predominantly from rain forest sites . These nuts are high in essential nutrients. They provide modest amounts of carbohydrates but all essential protein amino acids, meaning they’re great for sparking off muscle protein synthesis – an important aspect of muscle growth and development. Brazil nuts also have a substantial amount of fats, with 85% of the calories comes from fatty acids. Overall, 100 g will provide you with over 650 kcal. They provide relatively even amounts of different fat types, but with slightly more monounsaturated (MUFA) fat. You’ll find fiber and a range of micronutrients in ample amounts too. Thiamin (B1), vitamin E, phosphorous and manganese are all in high amounts here. Brazil nuts also contain a massive hit of the testosterone-boosting nutrients magnesium and zinc too. The most abundant, and important nutrient you’ll find in this food though is selenium. Brazil nuts are the richest known food source of selenium, with average concentrations reported in the literature between 8 and 83 μg per g . This means for every small handful you’ll get around 770% of the recommended daily value. This essential trace mineral has antioxidant properties similar to that of vitamins. It helps to prevent the excessive build up of reactive oxygen species (ROS) that can harm your cells through a process called oxidative damage . It is also an important regulator of thyroid function, immune function and reproduction. What Are The Health Benefits of The Brazil Nut? With so much nutritional value it’s easy to see that this, albeit high in calories, these nuts can provide a number of health-related benefits. Studies show that Brazil nuts have anti-inflammatory properties and can help regulate cholesterol levels. High MUFA fat diets have been found to decrease bad plasma LDL and plasma triacylglycerol levels, but at the same time increase healthier HDL-cholesterol levels . The sufficient number of antioxidant nutrients in the diet can also help to fight inflammation, decrease risk of a number of diseases and decrease the build up of artery sludge – a disease known as atherosclerosis. They may also play an important role in reducing the development of some cancers too. It is worth noting though that one study found that selenium obtained naturally from foods such as Brazil nuts had a significantly better selenium absorption rate than in supplement form . The research team stated that the combination of other nutrients in the food – in particular vitamin E – helps how your body take on board its nutrients. So if you are aiming to get selenium in your diet for health reasons, get it from foods such as nuts not necessarily from a selenium-based supplement. Do Brazil Nuts Elevate T Levels? According to review studies, selenium is required for testosterone synthesis as well as the for development, formation and motility of sperm . Firstly, a diet rich in selenium had been found to improve male health parameters including sperm quality. One study published in the British Journal of Urology  investigated the role of selenium intake on male fertility. They recruited 69 men with low sperm motility and gave them either a placebo, selenium on its own or selenium plus vitamins A, C ad E each day over a 3-month period. After the study, both selenium dosed groups reported higher plasma selenium levels. They also reported higher sperm motility in comparison to the placebo groups, whose motility had got worse. This led to 11% of the treated men achieving paternity – which for a group of sub-fertile men is great. Interestingly, the addition of vitamins had no effect on any male health parameter. There are also studies that have found direct increases in testosterone when selenium has been added to the diet. A study based at the Urology and Nephrology Research Center at the Shahid Beheshti University in Iran explored the use of selenium on infertile men . They gave the 468 men either 200 μg of selenium or a small range of other treatments over a 26-week period. After the study, sperm concentration improved directly related to blood selenium concentrations. The group also reported a significant increase in testosterone. Remember, selenium is only a trace mineral. This means that you only need it in very small amounts. The National Academy of Sciences Institute of Medicine has set an upper limit of no more than 400 mcg per day of selenium. This is the equivalent of only 6 Brazil nuts. If you regularly go above this you may suffer side effects such as nausea. In rare, serious cases you may even endure selenium toxicity. When this occurs you may suffer nail discoloration and loss, hair loss, fatigue or changes in mood. 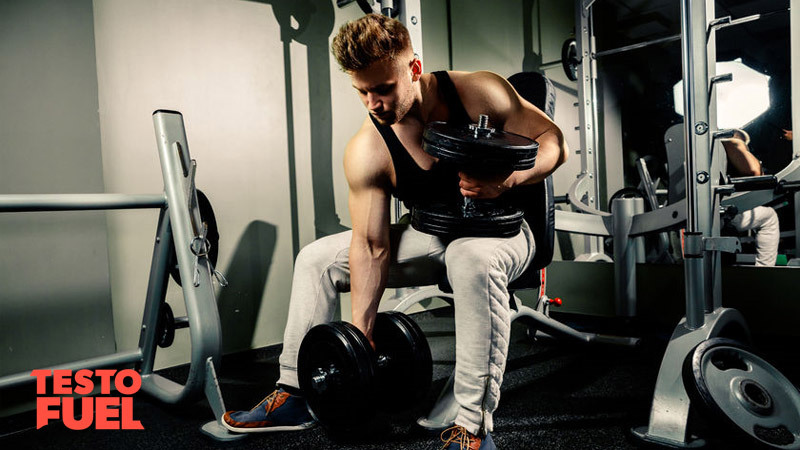 These two testosterone-boosting nutrients have also been found to have powerful benefits to primary male androgen hormones. Magnesium is classed as a major mineral meaning you need it in larger amounts than trace minerals. It’s much harder to obtain toxicity. 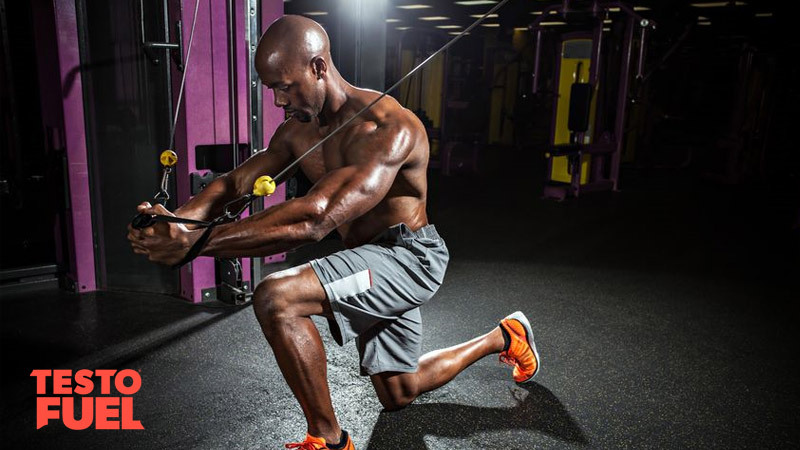 Studies show that this nutrient can regulate insulin levels, reduce blood pressure, support relaxation and recovery, and elevate testosterone levels as well. A study published in the journal Biological Trace Element Research [Cinar] for example reported that only 4-weeks of magnesium supplementation significantly elevated both free and total T levels in a group of sedentary individuals and high-level athletes. Similarly, zinc has been found to not only boost testosterone but also increase energy levels, improve mood and increase fat oxidation too. One study found that testosterone levels were significantly correlated with serum zinc levels, and that dietary restriction was associated with a drop in T levels in as little as 20 weeks [Prasad]. Inevitably, the research team also found that when zinc supplementation was increased, so did T levels. Not only will you find zinc and magnesium in modest amounts in Brazil nuts, you’ll also find them in abundance in TestoFuel. Ultimately, it is likely that Brazil nuts boost testosterone simply because of the zinc, magnesium and selenium content. It is worth bearing in mind though that this food also contains fatty acids and amino acids, as well as other nutrients that support overall health. 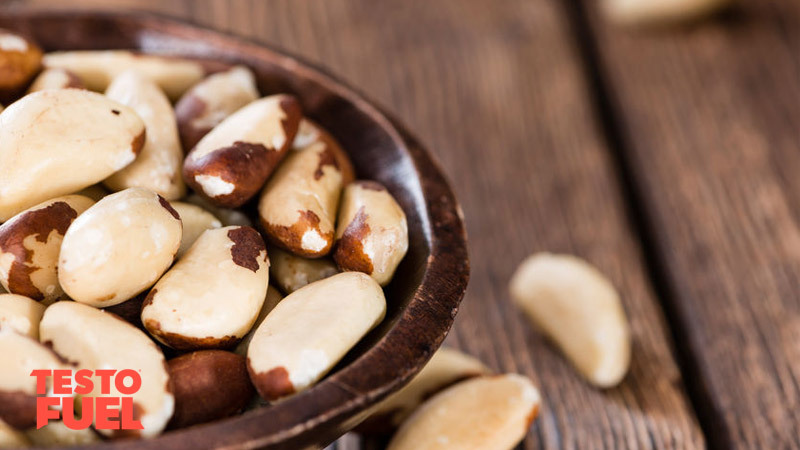 As selenium supplements seem to have a much lower quality absorption rate than through dietary intake alone, we’d definitely suggest that (as long as you aren’t allergic to them) you include Brazil nuts in your t-boosting diet. More so if you are deficient in selenium. Just be careful of the high calorie count though as the high fat content can soon ramp up your energy intake. Do Brazil nuts increase testosterone? How many Brazil nuts is too many? Is zinc good for testosterone?